Get automatic scam protection for your phone. Put scammers in their place and answer your calls, worry-free. Immediately see when calls come in from likely scammers. Now included at no extra cost. For all T-Mobile postpaid and Metro by T-Mobile customers. Capable device required. Enabling blocking may inadvertently block desired calls. Disable at any time. Info for some unknown numbers not available. Allows you to block all likely scammers before they reach you. Now included at no extra cost. 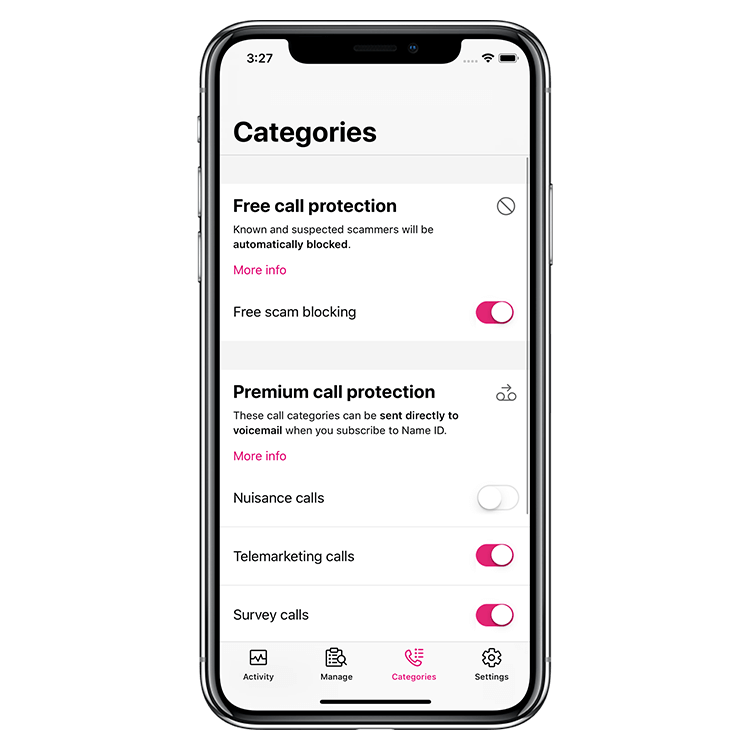 Identify a caller’s name and location, block calls, even send a whole category of calls directly to voicemail—and it’s all stored on our network. Only $4/month per line. 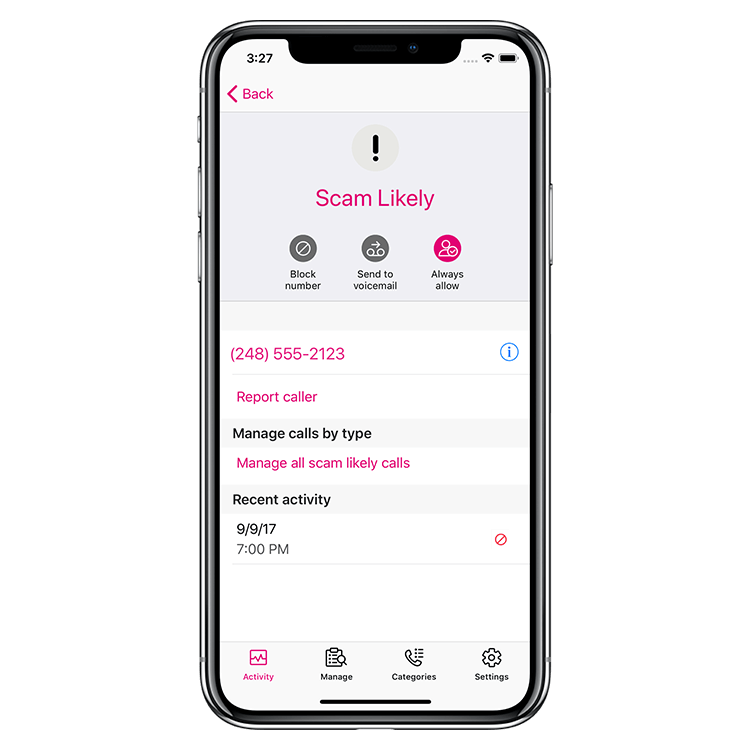 See instantly when calls come in from likely scammers. •	Included with all postpaid plans at no additional charge. •	Built into the network so there’s nothing to install. •	Works automatically on all phones with Caller ID. For all T-Mobile postpaid and Metro by T-Mobile customers. Capable device required. Info for some unknown numbers not available. Get fewer calls from potential fraudsters. •	Calls from scammers are blocked and won’t reach your phone. •	Enable the feature in your T-Mobile account, in the latest Name ID app, or dial #662# from your T-Mobile phone. For all T-Mobile postpaid and Metro by T-Mobile customers. Capable device required. Enabling Scam Block may inadvertently block desired calls. Disable Scam Block at any time. Info for some unknown numbers not available. Know who’s calling, and keep more scam calls off your phone. •	Identify any caller’s name and location. •	Block any personal number, even if it’s not in your address book. •	Send scam calls to voicemail by type: Telemarketing, political, surveys, and more. •	Settings are saved on our network, so they stay there, even when you switch devices. 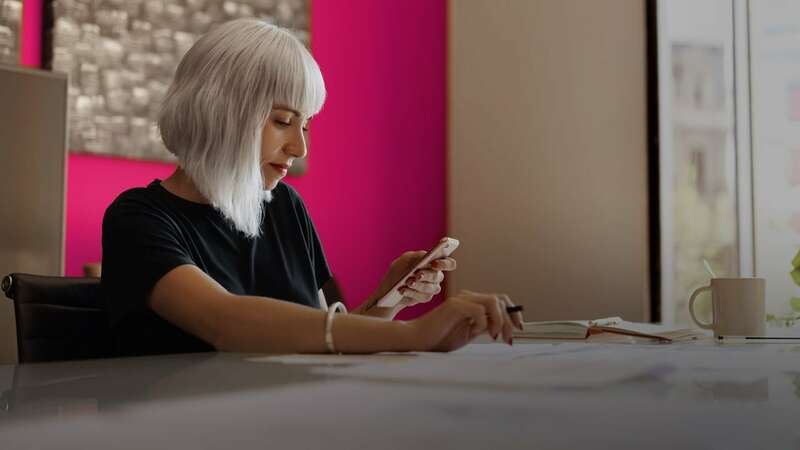 Name ID is included with our T-Mobile ONE™ Plus plan at no additional cost. Capable device required. Info for some unknown numbers not available.